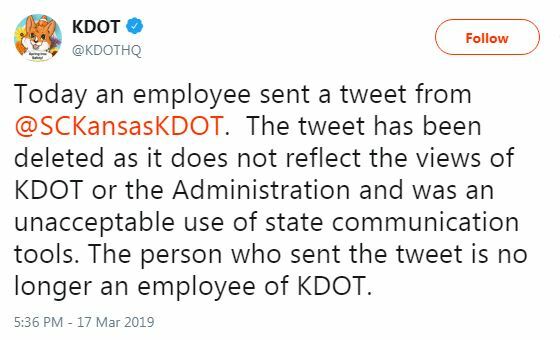 WICHITA — The Kansas Department of Transportation says a worker who posted a tweet from its official Twitter account criticizing President Donald Trump is no longer employed by the agency. Wichita Eagle reports that the tweet on Sunday came in response to a tweet from Trump that criticized Fox News weekend anchors and asked whether they had been trained at CNN, a network that the president frequently derides. 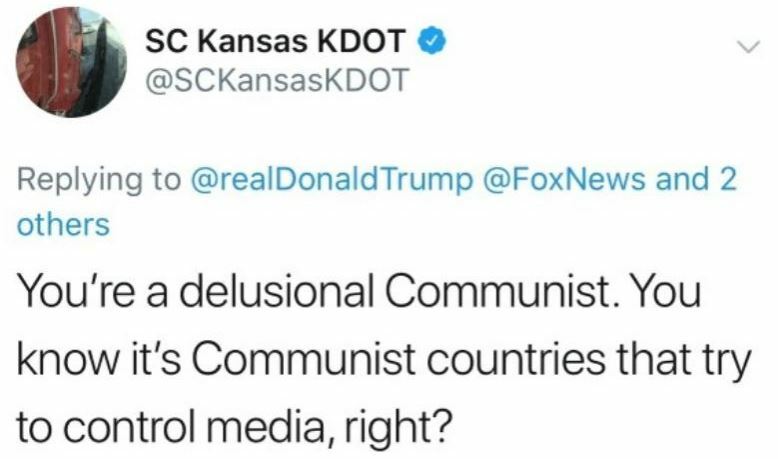 The tweet from the agency’s account called Trump a “delusional communist.” It has since been deleted. Lorenz hasn’t revealed the name of the former employee responsible for the tweet.